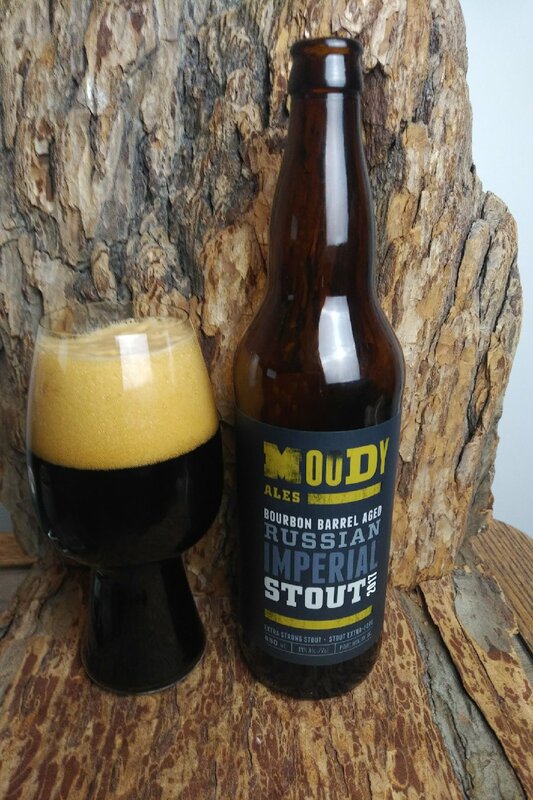 From Moody Ales out of Port Moody comes their “Bourbon Barrel Aged Russian Imperial Stout”. This beer was purchased on January 2017 and consumed on April 2018. The aroma consists of opaque black with a brown head. The aroma consists of bourbon, chocolate, dark fruit, vanilla, toffee and sweetness. The flavour is of roasted malts, chocolate, bourbon, vanilla, oak, toffee, treacle, earth, ash, bitterness and alcohol. The alcohol content comes in at 11% with an IBU of 32. Moody Ales makes on of the best Russian Imperial Stouts in the province and this one was great as always. Commercial Description: Our Russian Imperial Stout is brewed in the english tradition – high gravity and highly hopped to balance the sweetness of all that malt, this style was brewed for export to Baltic states and Russia. Why imperial? It is said that it was popular with the Russian Imperial Court. This is a complex beer that drinks smooth and is best enjoyed after it warms up a bit. We age this beer for 6 months in bourbon barrels to add to the complexity and make something very special. If you have a bottle of 2018 Vintage click on this link.